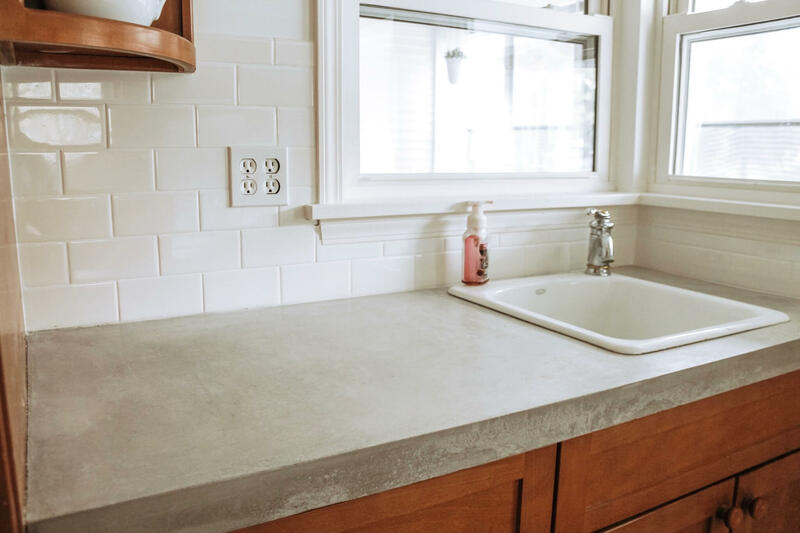 I’m so excited to share with you my daughter’s play kitchen makeover today! I’ve really been itching to paint it for a while, but I was worried that she would think a plain white kitchen was boring. Once I showed her my floral “backsplash” idea, however, she was so excited. 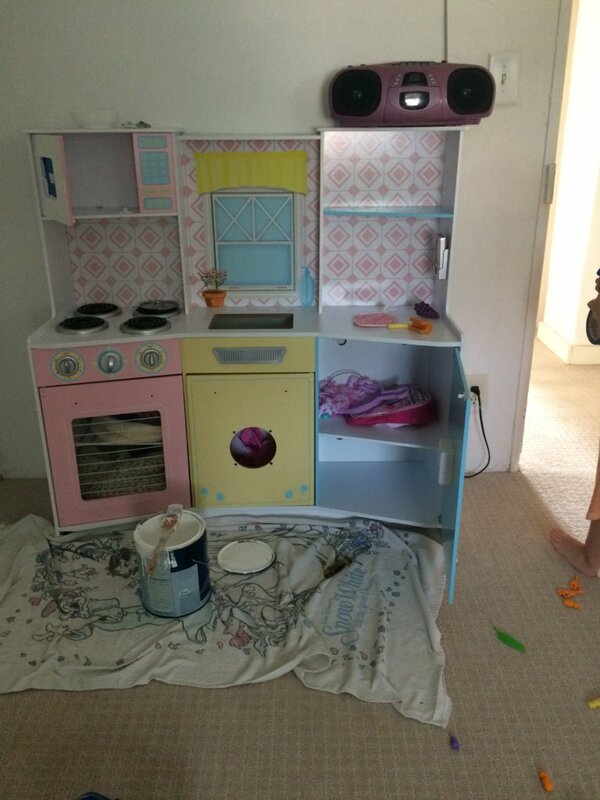 If I’m being totally honest, this play kitchen makeover is really just me living vicariously through my child. I can’t renovate my own kitchen just yet, so I had to get the design bug out of my system somehow! The best part of this kitchen?! 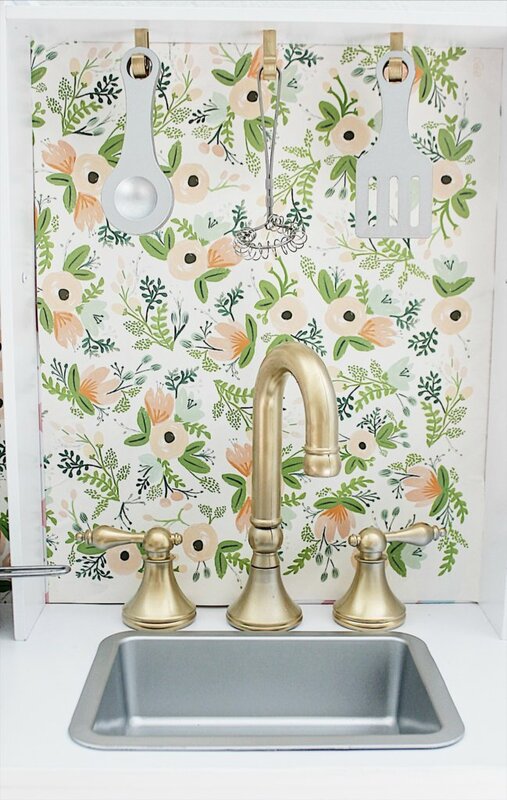 It cost me less than $20 to “renovate!” I used supplies I had on hand, and splurged on the beautiful floral backsplash from Rifle Paper Co. There was really nothing wrong with her kitchen before, if you’re a normal sane person. 🙂 But all the colors were kind of driving me nuts, since they really didn’t mesh with the vibe I was going for in her space. The kitchen is her absolute favorite toy, however, and its EXTREMELY practical (just look at all that storage space!) So I knew it was going to be a long-term fixture in our lives. The brand we have is a KidKraft kitchen that I bought from Costco a few years ago. It took me FOUR. HOURS. to put together!!! 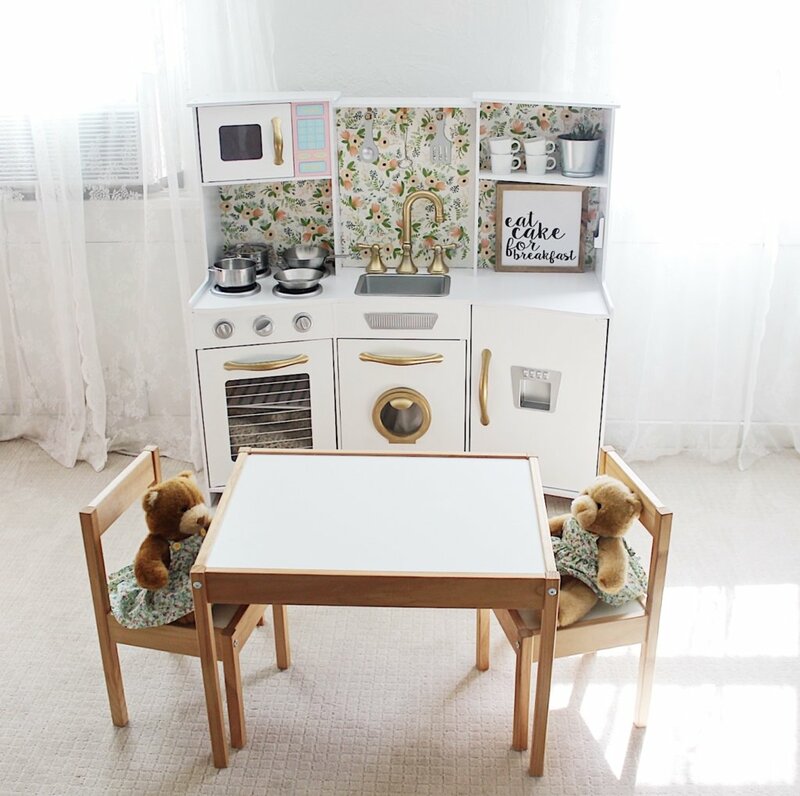 I don’t think they make this exact model any more but here is a very similar kitchen they make. I really love this kitchen, and, as I said before, there is really nothing wrong with the way it was. But what if? Those are dangerous words, aren’t they?! The first thing I did was take all the hardware off of the kitchen. Then I taped off the areas I needed to paint around. Grab some white paint, and you’re off to the races! I ended up using three coats of paint+primer to fully cover the high contrast color areas. Since we literally always have white paint lying around, this cost me nothing. 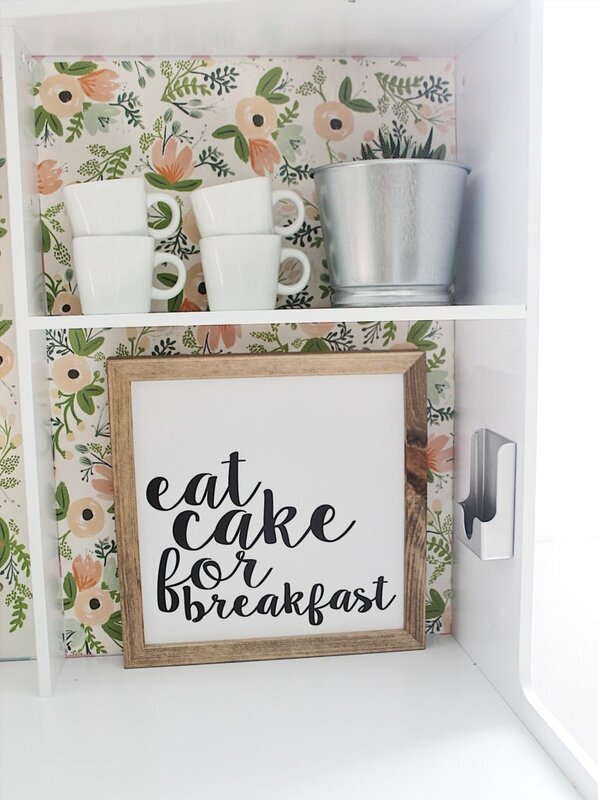 I used plain ol’ off the shelf white for this project (and for the entire rest of our home) and I just love it. The next step was to paint the hardware that I had removed. I used Metallic Gold spray paint by Rustoleum and it worked SO well! I was a little nervous, because the hardware is plastic, but it bonded perfectly to it. And it covered perfectly with just one coat. Of course she needed a high-end gold faucet as well :). Now let’s talk about this gorgeous Rifle Paper Co. “backsplash” I used. It’s actually wrapping paper that I mod-podged onto the existing backsplash. I had planned on hand-drawing a subway tile for the backsplash, but I saw this exact paper used on a kitchen on Pinterest and knew I had to have it!! I think it makes it much more exciting for a little girl than basic white. The sign is from Hobby Lobby, the succulent and pot are from IKEA, and the little white mugs are actually espresso mugs from my own kitchen. I finished the whole play kitchen makeover in one weekend, and I know you guys can too!! I also think it would be pretty with light grey cabinets and maybe a Moroccan tile backsplash. 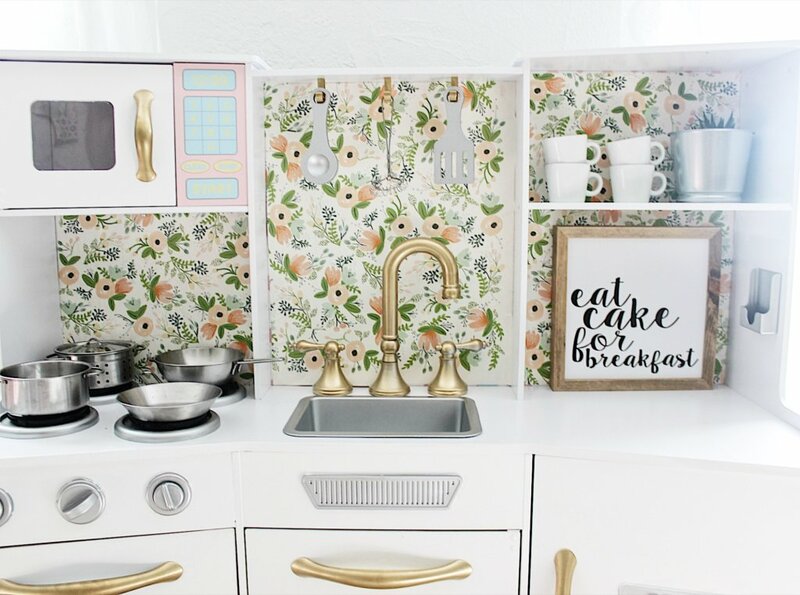 Isn’t it fun how you can take any sophisticated kitchen design and turn it into a pint-sized paradise!? This is how we have it set up in her room, along with her little IKEA table and chairs. You should see the number of babies and teddies that get crammed around this thing! It’s her absolute favorite thing to play with and I just love it to death! And a sneak peek of her big girl room that I may or may not ever finish. Womp Womp. 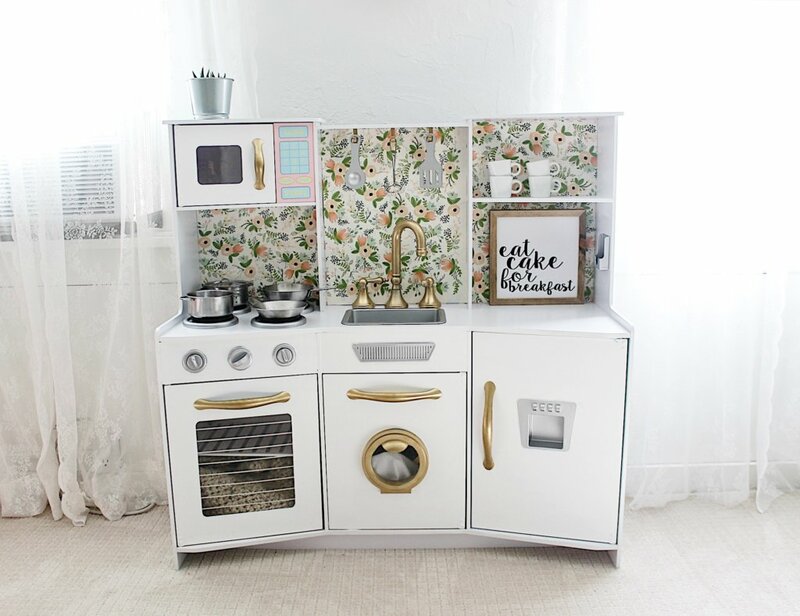 If you guys are on the fence about a play kitchen makeover, you NEED to do it now!! I promise you won’t regret it!! And I’d love to see it!! Promise you’ll tag me, @thedefineryco on Instagram, okay? !